· Winter Colour Season palette are Cool, Deep and Bold. 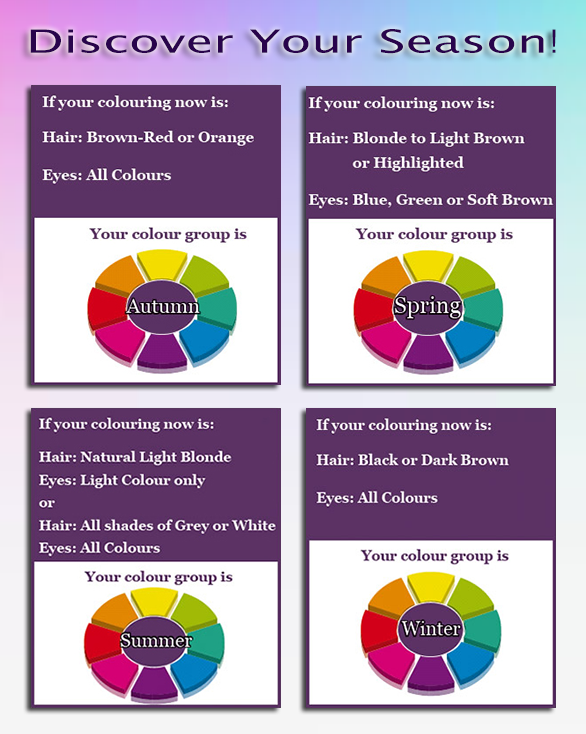 These colours suits people with Black or Dark Brown hair. In your closet you must have Black, Dark Navy, Purple, Soft White. When a Winter wears their true colours they will look vibrant and striking. · Autumn Colour Season are Warm, Deep and Earthy. These colours suits people with Orange or Red-toned hair. In your closet you must have Chocolate, Bronze, Moss and Light Navy. When an Autumn wears their true colours, they will look natural and radiant. · Spring Colour Season palette are Warm, Light and Fresh. These colours suits people Dark blonde to light Brown or highlighted hair. In your closet you must have Rose brown, Stone, Sage, Light navy. When a Spring wears their true colours they look illuminated and energized. are Cool, Light and Soft. 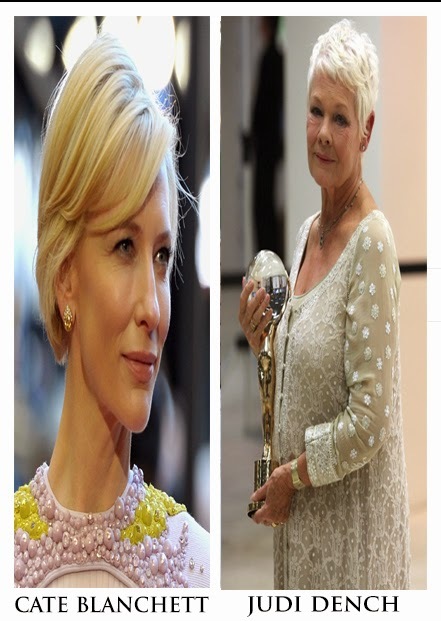 These colours suits people with Naturally blonde or very light hair and skin or white or grey hair. 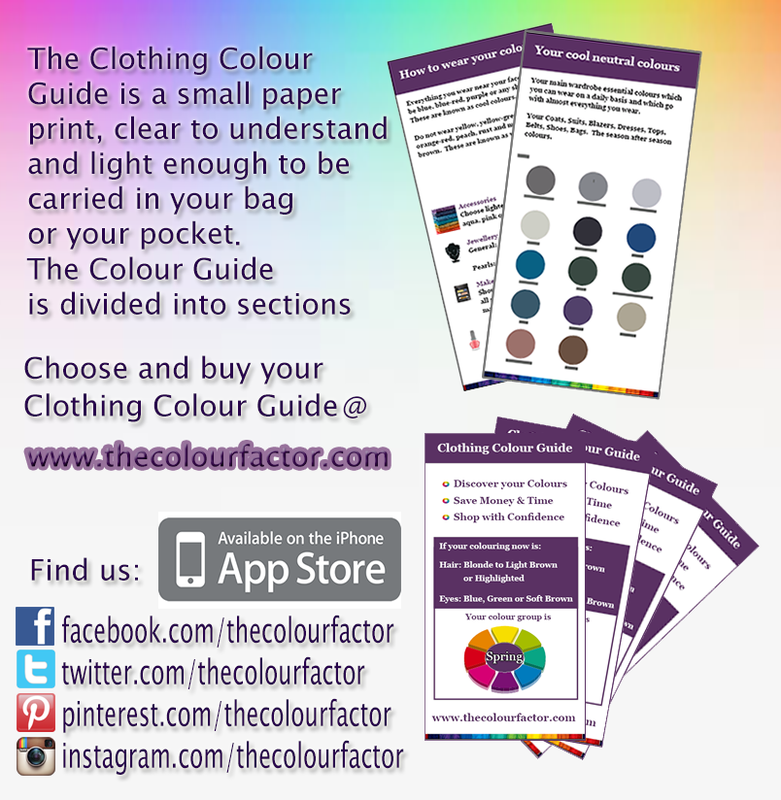 In your closet you must have Medium grey, Royal blue, Teal, Baby pink. When Summer wears their true colours they look elegant and harmonious.